Why it matters: None of Trump's trade policies were intentionally aimed at the American media industry, but their collective impact is creating headaches for businesses, especially those affected by more than one of the trade targets. Movie studios are expected to take a hit with Chinese trade retaliations: “Film quotas are exactly the kind of target the Chinese would threaten in response to these tariffs,” Derek Scissors, a resident scholar at the American Enterprise Institute who focuses on U.S. economic relations with Asia, told Variety in March. The result: "Negotiations over improved market access for U.S. movie producers via China’s strict quota system and a larger slice of profits have stalled," industry insiders told Reuters last month. There was a sense earlier this year that China was moving to open up the market. China is set to become the world’s top film market in 2018, and US movie studios are hoping that higher quotas will help keep dollars flowing as US movie theater revenues plateau. Newspapers ache under Canadian print tariffs: The Commerce Department has floated adding anti-dumping tariffs up to 32% on newsprint and other Canadian paper goods, because, they argue the law unfairly gives Canadian paper producers a leg up. But newspaper bosses argue the tariffs aren’t fit to solve the problem at hand, and they instead benefit a single print mill in Washington. The result: The threat of tariffs are beginning to choke local American newspapers, which are already struggling to survive a transition to digital news consumption. Even bigger papers are taking a hit, with companies like the Tampa Bay Times laying off roughly 50 people as a result of the tariffs. Newspaper editorial boards across the country are calling on the Trump Administration to end the tariffs to save their businesses. NAFTA could threaten current data standards that govern social media and tech companies' data activities. The Trump administration wants to "modernize" the 23-year-old North American Free Trade Agreement (NAFTA) to include digital provisions that would prevent trading partners from requiring data to be processed or stored within their borders. The result: Social media companies also have a lot to lose to data regulation and overseas trade barriers, as the majority of their users are based outside of the U.S.: 87% of Facebook's daily active users are based outside of North America, along with 57% of Snapchat's daily active users 79% of Twitter's monthly active users. The broader Trans-Pacific Partnership also includes digital provisions supported by the U.S., but the Trump administration pulled out of the treaty. 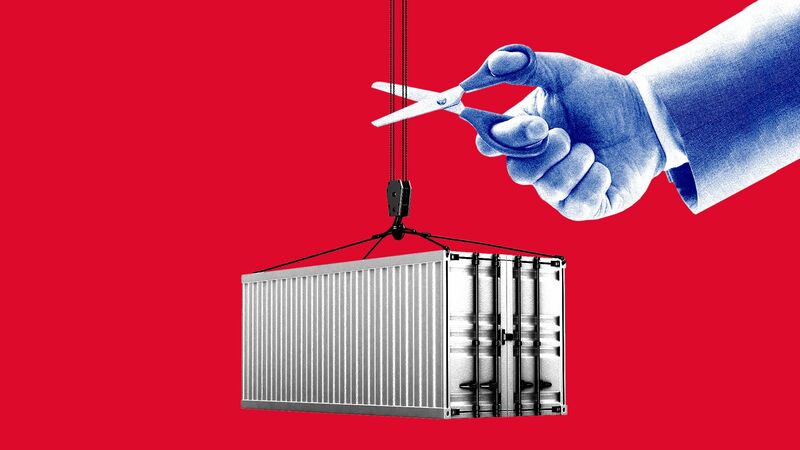 Go deeper: The coming trade war over data.